If you are arrested for DUI in Orange County, contact an experienced Orange County DUI defense lawyer as soon as possible, and understand that you aren’t alone. It can happen to anyone who has a drink and gets behind the wheel – even presidents. Back in 1976 when he was 30, former President George W. Bush pleaded guilty to a DWI charge. If you type “athletes and DUI” or “movie stars and DUI” into the Google search engine, scores of famous persons’ names are returned. It happened again recently, this time in Hawaii. A high-ranking official with the Roman Catholic Church, Cardinal William Joseph Levada, who was archbishop of San Francisco from 1995 to 2005, was arrested in Kailua-Kona, Hawaii, for DWI in August. A police officer stopped Cardinal Levada after seeing him swerve while driving on Queen Kaahumanu Highway, according to the Hawaii Tribune-Herald. Levada was arrested, charged with driving under the influence, and released on $500 bail. If you think it’s rare for a member of the clergy to be arrested for DWI, think again. A website called “Clergy Gone Wild” maintains a regularly updated list of pastors, priests, and rabbis who are arrested on DWI charges. 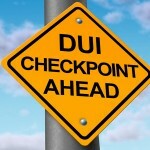 It’s quite an eye-opener, so if you’ve been charged with DWI in southern California, don’t be hard on yourself. Most DUI suspects are not “bad” people – they’re first-time offenders who simply made a mistake, or else they’re innocent and they’ve been wrongly accused. Still, a conviction for DWI in California is something you very much want to avoid. If you’re convicted of even a first offense, you’ll be fined, your driver’s license will be suspended, you’ll probably be put on probation, and you might have to serve time in jail. Don’t let that happen. 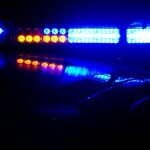 If you or someone in your family is arrested for DWI in Orange County, get the legal help you need at once, and speak to an experienced Orange County DUI defense lawyer without delay. A Horse Is A Horse, Right?